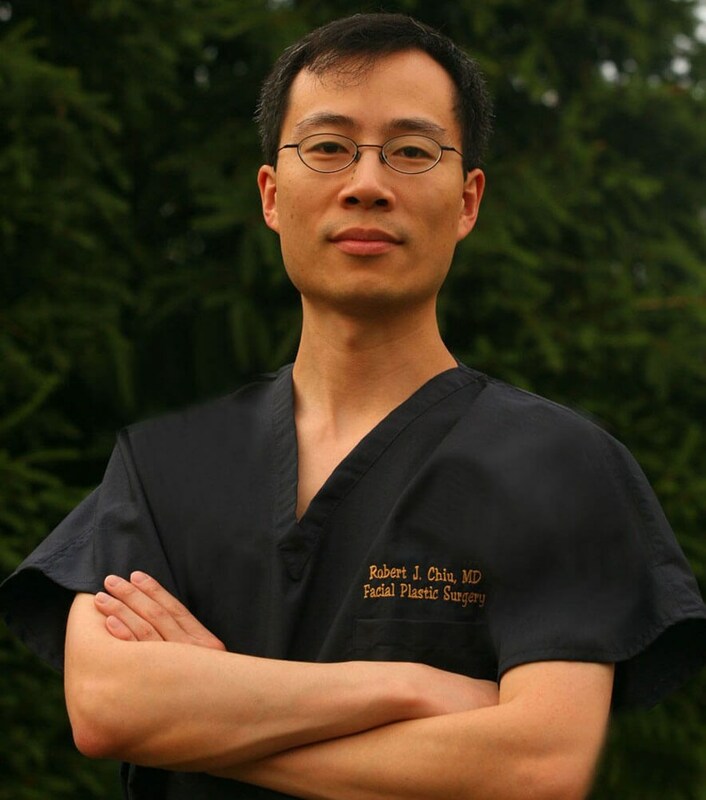 Dr. Robert Chiu attained board certification in facial plastic and reconstructive surgery by the American Board of Facial Plastic and Reconstructive Surgery (ABFPRS), which exclusively certifies surgeons who are already ABMS board certified in Otolaryngology Head & Neck Surgery (ABO) or Plastic Surgery (ABPS). Dr. Chiu has extensive surgical knowledge, a meticulous approach, and a truly artistic eye and touch; this allows him to offer unique, superior results that enhance patients' skin and appearance in a natural-looking, subtle way. Dr. Chiu not only specializes in cosmetic surgeries of the face, neck and nose, but also uses his extensive experience to provide his Pittsburgh, PA patients with advanced, minimally invasive options such as nonsurgical facelifts, laser skin resurfacing, and the latest in noninvasive injectable treatments. Dr. Chiu is recognized throughout the region for his exceptional work and care, offering individualized treatment and stunning results to all of his patients. At Today’s Cosmetic Surgery in Pittsburgh, PA, we offer a diverse selection of advanced aesthetic and cosmetic procedures that produce natural results with as little downtime as possible. Our founder and medical director, board-certified facial plastic surgeon Dr. Robert Chiu, meets with each patient for an extensive one-on-one consultation. During the first appointment, Dr. Chiu and his caring staff will collaborate with the patients to meet their individual aesthetic goals and needs. At Today’s Cosmetic Surgery's offices, we perform state-of-the-art cosmetic procedures with the latest aesthetic products and equipment, which allows us to achieve stunning transformations on-site. In our procedure rooms, we can deliver nonsurgical facelift and eye/brow rejuvenation treatments with minimal or no downtime, utilizing a combination of cosmetic injectable treatments like BOTOX®, Juvederm® and Restylane®. In addition, we have laser skin resurfacing, facial vein removal, and much more available for our patients. We invite our potential patients to tour our office, schedule a consultation with Dr. Chiu, and learn more about Today’s Cosmetic Surgery. Procedures that enhance the natural contours of the face for a rejuvenated, youthful look. Reconstructive and cosmetic procedures that reshape or improve the structure of the nose. Noninvasive facial fillers and wrinkle relaxers that smooth out and add volume to the skin. Minimally-invasive options that offer subtle, effective skin rejuvenation and anti-aging benefits. We (twins) got lip fillers from Dr. Chiu and we are extyhappy with how they turned out! They look very natural and smooth just how we wanted. He takes great pride in his work and we would definitely recommend him to anyone we know!! Dr. Chiu is amazing. Very professional. He's extremely meticulous with an artistic eye. I loved my results . And Sarah made the experience perfect. I will definitely drive fifty miles to see them again. Delve into our patient’s before-and-after photos in our photo gallery. Read real testimonials and past patient experiences with Dr. Chiu. Learn more about our beneficial surgical and nonsurgical procedures. Find helpful maps and directions here to Today's Cosmetic Surgery.